In our busy modern lives, it is an unfortunate truth that accidents do happen. Slips, falls, bumps and crashes never fail to add a frustrating complication to any, otherwise average, working day. No matter where you are, or what you are doing when the incident happens, accidents, by their very nature, never occur at a good time. With over 360,000 personal injury cases in the United States every year, the first thing to remember is that you are never alone in this process. If you have suffered an injury to your body, mind or emotional wellbeing, you could have grounds to file a lawsuit against the party who caused it. Regardless of the nature of your or your loved ones injury, the first step in any successful case is to visit a personal injury attorney. Though the physical pain and associated burdens of travel time, medical bills, and personal stress are extremely taxing, finding the right legal professional will ensure that your case is attended to with attention to detail, from someone with an extensive knowledge-base at hand. In the lead up to your first meeting with your new attorney, you might want to get familiar with the legal terms and processes involved in a personal injury lawsuit. A lawyer operates in one of the world’s oldest professions— rich in history, culture and terminology unique to the field. When you’re being represented in a legal matter in the United States, following the fine details of any case is a trying matter. This is why we opt to call in the experts. Plaintiff: The person that files the case to be brought to the court— in your case, this would be the party that has been injured. Defendant: The individual or representative of a corporation or entity that is being accused of causing the injury as a direct, or indirect, result of their actions. Jurisdiction: The reason that you are filing your case within the court system. Damages: The elements of the accident that the injured party can be compensated for by the defendant, in the instance of the case being judged in favour of the plaintiff. There are many forms of punitive damages, some of these may be medical bills for both physical and psychological treatment as well as the various ways that the injury may have affected the plaintiff’s quality of life. Negligence: A failure on behalf of an individual or a company to act in a manner that a person of sound mind would, if placed in the same circumstances. Gross Negligence: Encompasses the same act as negligence, but in this case, the individual has acted with reckless disregard. For example, this person may have not only failed to clean up a spill, but intentionally missed it knowing the nightly route of an at-risk individual—a level of consciousness or criminal intent to cause the accident would need be proven in this case. Reckless Conduct: To behave recklessly or operate with a form of criminal intent. In this case, the defendant would have failed to address a known risk and acted with complete disregard for the consequence of their actions in doing so. Intentional Misconduct: Similar to a reckless act, the individual, if behaving with intentional misconduct, has behaved with a conscious understanding, and a wilful disregard, for the impact of their actions on the health and safety of others. With these new terms floating safely in our recent memory, we’re ready to find out what types of personal injury claim that can be filed in the United States. Accidents can happen in any number of situations. You could be travelling home from your local archery store in Jasper, AL when you wind up in a particularly rough accident. Or you could be going about your daily trip to the grocery store when the unexpected happens. Once you or your loved one has accessed the critical medical attention they need, your legal professional will get to work on developing your case. There are a range of “types” that your personal injury suit may be classed under, but they are each specific to the incident that has taken place. The most common personal injury lawsuits are road or traffic accidents, work accidents, and slips and falls, but they can also involve cases of assault or defective product lines. This part of your personal case prep is pertinent to remember, particularly when you’re dealing with an injury over a prolonged amount of time. Every state in the US will possess their own statute of limitations—a legal document that dictates the period of time within which a case may validly be brought before the court. Be sure to check with your lawyer about your state’s statute and confirm that your accident has occurred within the right legal time frame. Depending on the nature of your case, you might find that the statute can be disregarded—especially in any incidents involving a minor, sexual miscount or causing grievous bodily harm. So, your partner has left for work, freshly stocked with the finest Everlast II™ materials, ready to start another day on their home building project. However, when they were on the job, one of yesterday’s shift leaders forgot to alert the next team about a faulty ladder among their equipment, and they’ve taken a nasty fall. You are aware of the type of accident it could be, you know that it constitutes a workplace injury and the recent timing of the case keeps you well inside the bounds of of your local statute of limitations. Your appointment is booked, and your files are packed, but what should you expect in your first visit with your attorney? If you haven’t had the chance already, find a moment to take down the facts of the case. The very first part of your journey through the court system is to successfully file a document, formally titled a “complaint” against the offending party. Your trusted legal council will take you through the details that you have prepared, or guide you through the process themselves, identifying the elements of the case that align with a personal injury incident, and ascertaining where you may able to retrieve financial compensation. The United States District Court for the District of Massachusetts provides a series of guidelines on how to structure your formal complaint. A valid complaint submitted to their courts will include both the full name and the address of the plaintiff and the defendant. It will also include the jurisdiction of your case, the allegation you are making before the court, and the form of ‘relief’ — or compensation—that you are seeking. Having a draft ready, for your lawyer to refine with their expertise will save you crucial time with your litigator. Remember to keep your statements to the facts, assuring the judge’s first introduction to your case is a clear and focused report of how the incident occurred, and any reparations that you may be seeking. If your head is starting to spin, it’s time to rest easy. Don’t be afraid of what you can’t do, but seek out answers to what you can achieve with the help of an expert legal attorney. 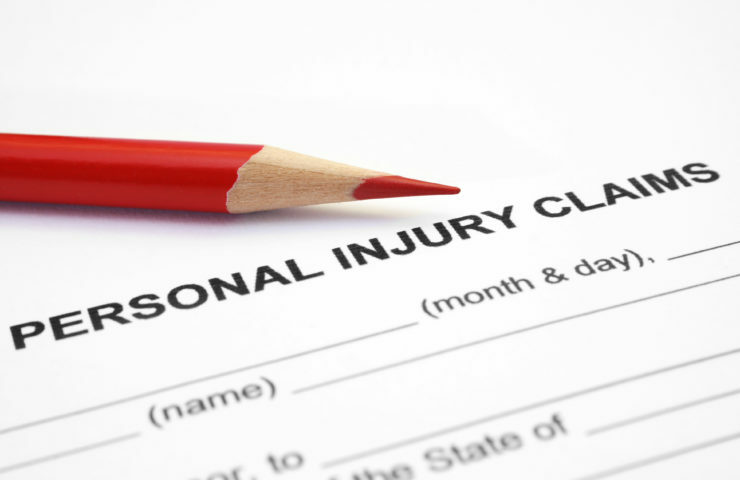 Previous ArticleWhat’s Considered Personal Injury?